The tonsils are two lumps located at the back of the throat which work to sample bacteria and viruses that enter the body through the mouth or nose. They can be susceptible to recurring infections and periods of inflammation, known as tonsillitis. In some children, inflamed tonsils can cause airway obstruction, difficulty breathing and can even contribute to snoring or adenotonsillar hypertrophy. Click HERE to learn more about recurrent tonsillar infections. The adenoid is similar to the tonsils and is located in the upper part of the throat, behind the nose. Some children are born with an enlarged adenoid. For others, an enlarged adenoid indicates infection. Removal of tonsils and/or enlarged adenoid is not as common as it once was. However, removal is still an effective option for children who struggle with recurrent tonsillitis, resistant to other treatment. Click HERE to learn more about tonsils and adenoids. If your child shows any signs of tonsillitis or enlarged adenoid, make an appointment with one of our specialists at Pediatric ENT of Oklahoma. A prompt, accurate diagnosis is key to ensuring your child’s long-term health. 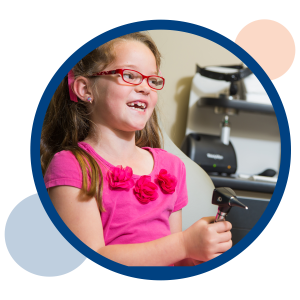 Contact Us today to schedule your child’s appointment.